No Bluetooth in your car? No problem, so long as your car stereo has a standard 3.5mm audio jack. 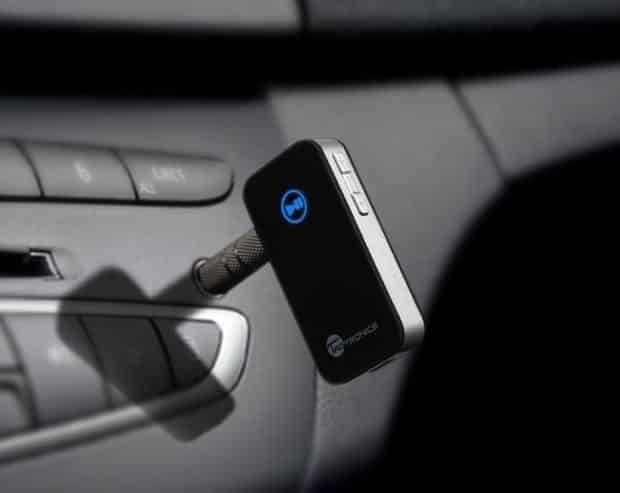 Just plug in this TaoTronics Bluetooth receiver ($16 on Amazon), pair it with your iPhone or Android phone, and start streaming music in your car. About the size of a Zippo lighter, TaoTronics’s Bluetooth receiver boasts 7 hours of battery life, and it’s compatible with pretty much any car radio or home stereo system with a typical 3.5mm auxiliary audio input. Check out the TaoTronics Bluetooth receiver on Amazon!